China Prep offers student travel, customized trips, and summer internship opportunities in China. 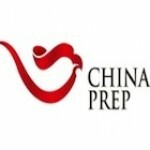 Founded in 2006, China Prep is an educational travel company. We started China Prep because we believe that it is vitally important for people around the world to be exposed to China now, and that our common interest in the future makes deeper understanding of China critical. China Prep began by organizing educational travel trips for groups of high-school students. Parents and former business contacts, however, began asking us if we would arrange trips for adults and families with the same strong educational focus of our youth trips. At the core of every trip is an emphasis on providing deep insight into modern Chinese history and contemporary culture.